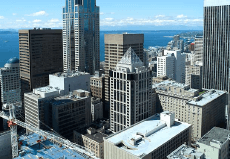 Writers UA West 2015 in Seattle Writing Assistance, Inc. The WritersUA Boot Camp includes both Basic Training sessions for tech comm and UA newbies and Grad School sessions for experienced UA professionals. Certificates are awarded for each track. The conference registration fee includes a networking lunch Thursday and Friday as well as slides and any supplemental materials, and wi-fi freely available throughout the conference area.